Thank you to all the judges who have recognized Blue! #4 in Canada for 2015! 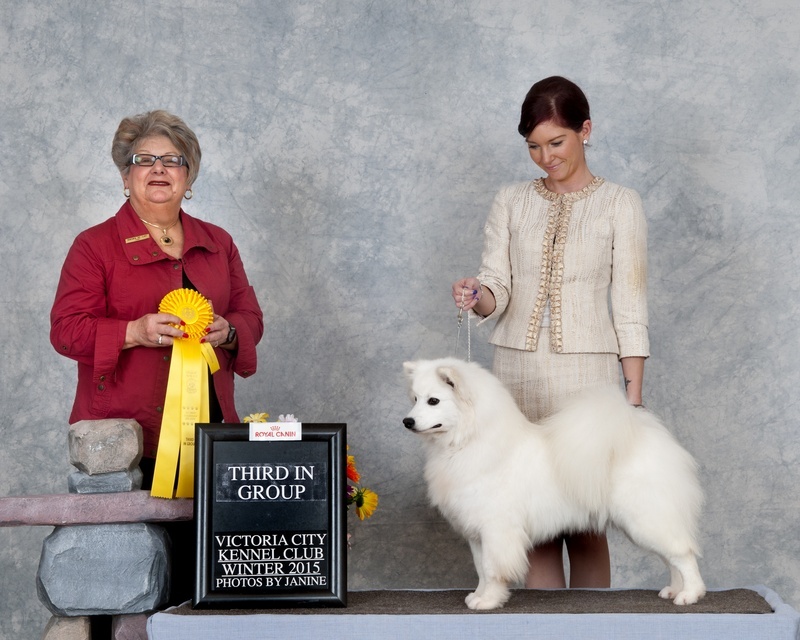 The American Eskimo is a loving & loyal companion, they are brave, eager to please and are a very healthy breed. They love to quietly snuggle up with you on the couch, or get out and get dirty. They are most known for their intelligence & loyalty to their owners. 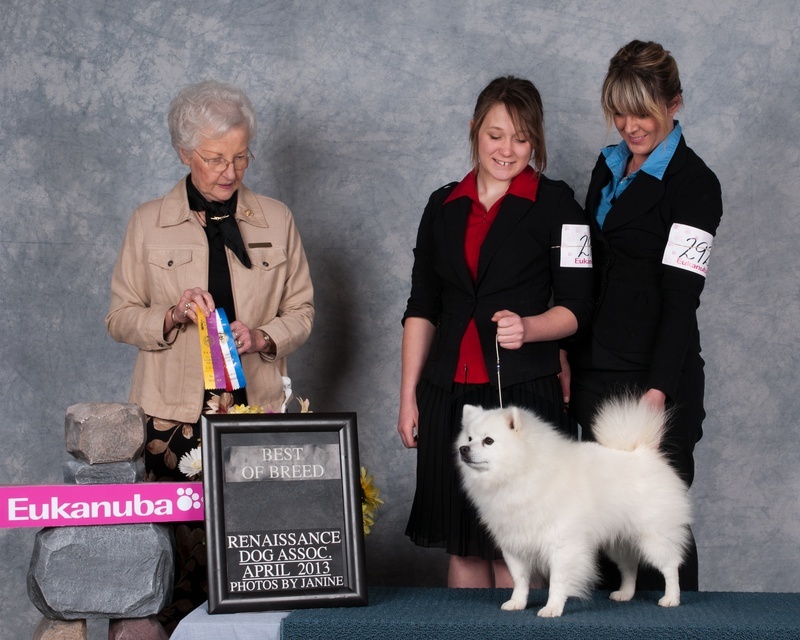 Eskie's are eager learners, they love to be taught, they are adventurous,courageous and love to explore and show off their incredible athletic ability. 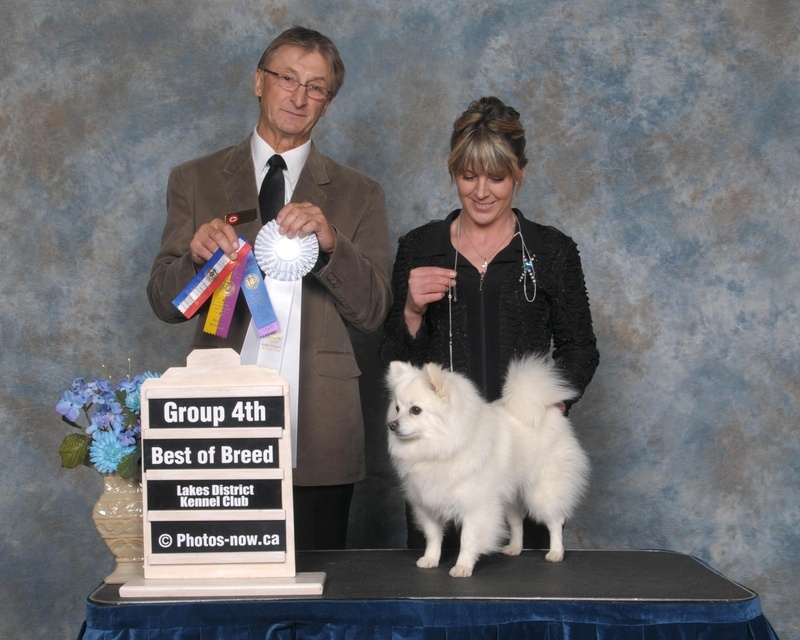 Our eskies come from breeders in Canada that have spent years testing for hip, elbow & prcd-pra issues. After generations of breeding for excellence, our goal is to continue to raise quality dogs that have exceptional temperaments, conformation and health. 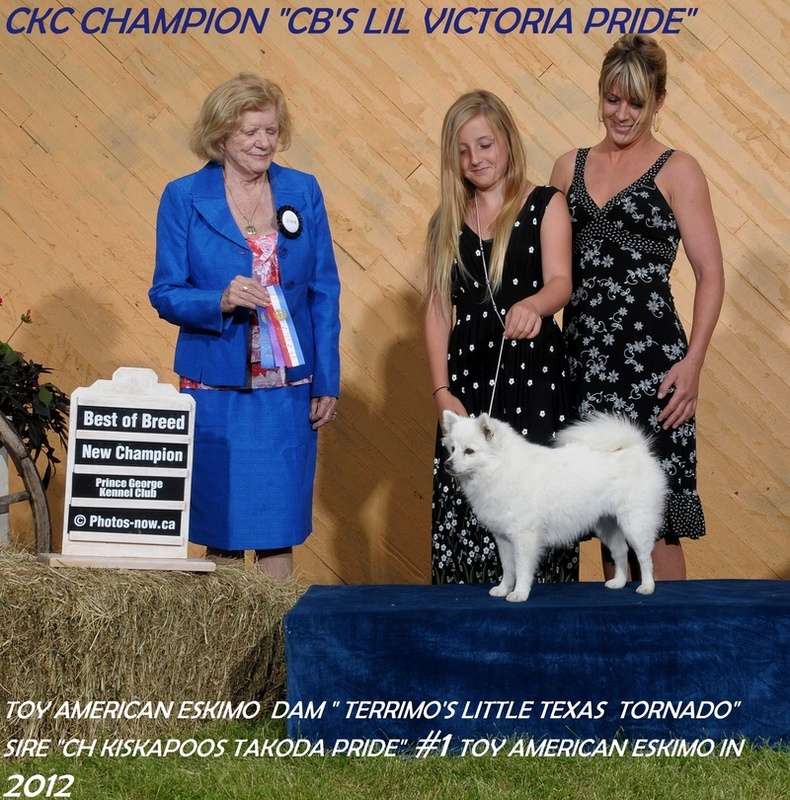 CKC CHAMPION #2 in Canada for 2013! 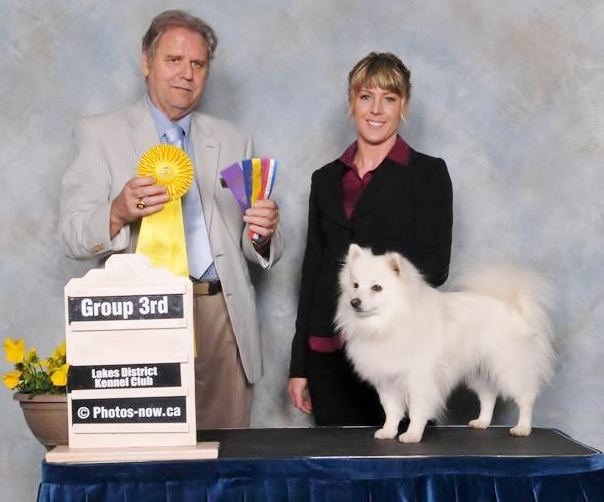 Today, the American Eskimo Dog stands proud of its German heritage. It is a strong, powerful dog for its size. It is a trotting breed, giving one the impression that it is able trot for extended periods without tiring. It is robust dog with a sound constitution. It is noted for its longevity, living well into its teens. It is a happy, outgoing dog that bonds closely with humans. It is quick and agile, with an excellent herding instinct. It is ready to serve in Agility,Obedience,Herding, Tracking, Search & Rescue,Service Dog, Therapy, or as a devoted companion. 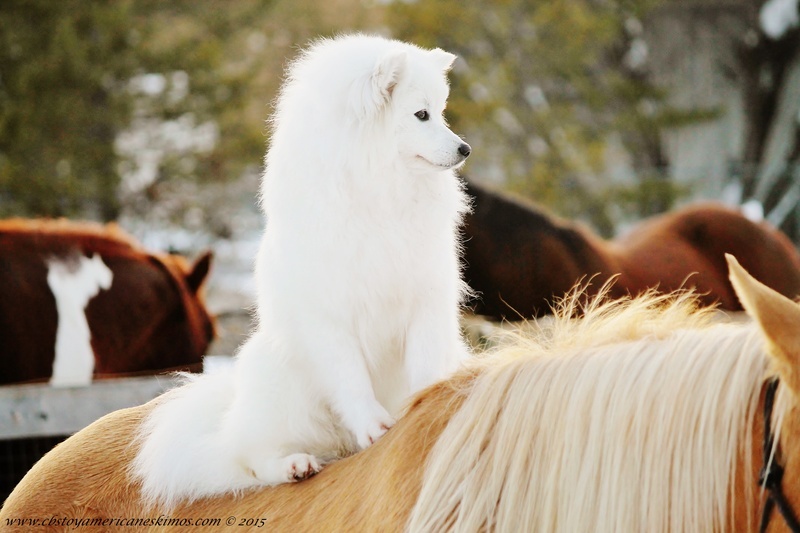 All of what the Eskie can do today is directly influenced by its natural instincts as a working farm dog. We must never loose that which makes the American Eskimo Dog what it is. 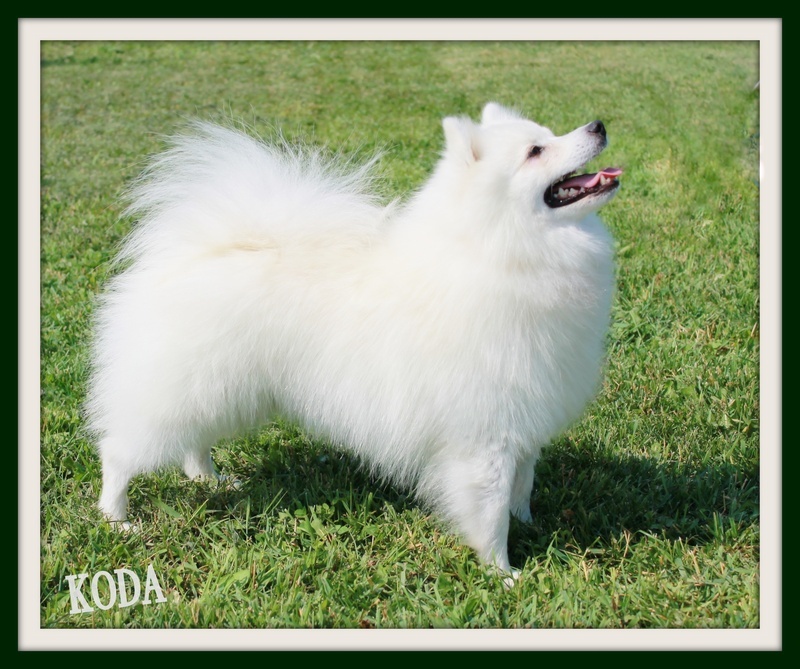 We must never go so far away from what the breed is that if an excellent specimen comes before us, we do not recognize it, for we have lost the very essence of what makes the American Eskimo Dog, an American Eskimo Dog.